Here is GM Erdos’s attacking victory in rd2. The attack is well under way. What do you recommend for white? White has a clear P+ and a clearly better position. What do you recommend for white? Here is a recent effort(TWIC 952) by GM Erdos(HUN), one of the young rising stars in Hungarian chess. White has a massive lead in development for a pawn after 17…Kh8. What do you recommend for white now? Erdos scored 2.5/3 in the AUT-TCh 2012-13. One of his games is featured. 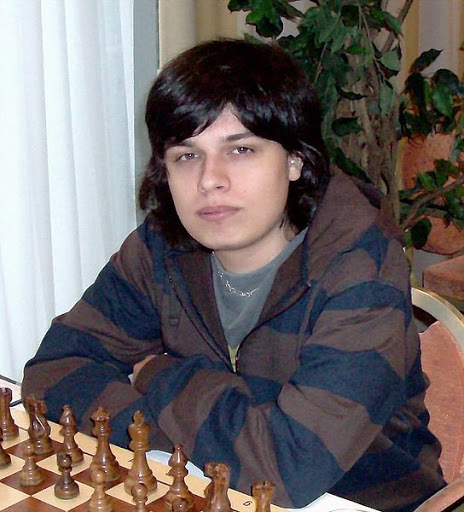 Erdos is one of the many rising stars of Hungarian chess. 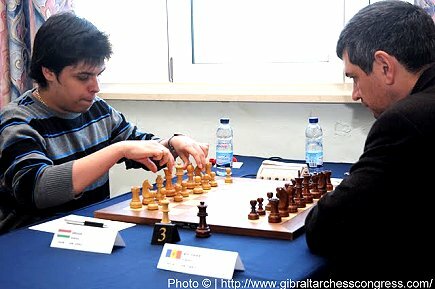 Hungarian Grandmaster (2007). World U14 Champion in 2001. Hungarian U18 Champion in 2004. 1st; Trieste Open 2011, 1st. The ending has been reached and white is pushing hard. How should white continue? Improve the king? Open a second front on the kingside? Is there a hidden tactic? Or something else perhaps?